School teacher and former professional dancer Graham explains why and how he opened his own gymnastics club in Hartlepool and how it's really taking off. Firebird Gymnastics Club has really ‘sprung’ into action since it opened at our Hartlepool Workshops site a few months ago. 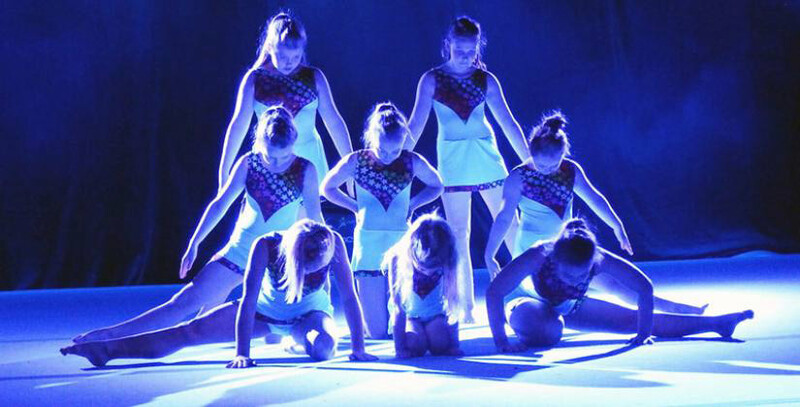 The not-for-profit club has welcomed a host of new members thanks to an extended timetable of classes and now the club’s acrobatic display team has its sights set on glory against teams from all over Europe this summer. The club was founded by brother and sister Graham and Paula Elsley in 2007, who starting off coaching just a handful of children. Its success has been growing and membership now stands at more than 100. Head Coach Graham was previously a professional dancer who has performed nationally and internationally in dance and gymnastics. He had the idea to start the club to ‘give something back’ to his hometown of Hartlepool, as there was nothing similar available in the area. "We started off with one session a week based in a sports centre hall and it’s fantastic that we have our own space now", Graham says. “We were driving past the site and thought we would call in on the off chance of finding something. We viewed the unit, which had been earmarked to be split down into two smaller units, and I knew right away that it was perfect. Firebird now offers classes six evenings a week and one daytime, catering for members aged three to adult, of all abilities. Many live in Hartlepool itself but members also travel from surrounding areas, including Peterlee, Sedgefield and Middlesbrough. The club specialises in acrobatic and display work and puts on shows throughout the UK and abroad. “It’s obviously a lot easier to fund displays in the UK, but we like to give children the opportunity to take part in festivals overseas and give them a chance to see other parts of the world and experience other cultures,” says Graham, who also has a full time job as a school teacher. For more information on joining Firebird Gymnastics Club, or if you would like to donate to the fundraising efforts, email [email protected]﻿. Our Hartlepool Workshops offer a variety of workshops, industrial units, offices and studios. With an on-site car park and excellent transport links, the business centre is conveniently situated and offers 24-hour access. We already have a wide range of customers based at the site and we can help businesses to customise their workspace to suit their individual needs. For more information contact Business Centre Manager Lisa Taylor on 0191 597 4655.